The time has come to terminate a problem employee. Are you ready? Termination decisions often have legal ramifications. We can guide you through the process, identify and minimize legal risks, and strategize with you to avoid unintended consequences of employment decisions. Your business is at its best when your employees are at their best. Our Employment & Labor lawyers help employers manage human resources and employee relations proactively, and when problems arise, we will navigate with you through the difficult times. When you need answers to your employment law questions, our attorneys will provide thoughtful legal advice and provide it within the context of your larger operation. The HR decisions you make today can have ripple effects and impact decisions you’ll make in the future, and we’ll help guide you through. 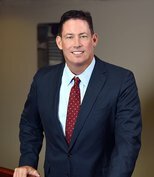 We represent employers – large national corporations, small local businesses, and everything in between – which positions us as the team to call when you need direction through even the most complicated employment situation, from day to day human resources and employment advice, to compliance management, to defending employment claims and litigation. Our work spans the country, and we routinely represent our clients in federal and state courts, before federal and state administrative agencies, at the National Labor Relations Board (NLRB), and in arbitration forums. We provide legal counsel and assistance to our clients in the preparation and use of employment applications, in conducting background checks on job applicants, in the areas of affirmative action, executive compensation and benefits, and responding to claims for unemployment benefits, wage garnishments, wage deductions and wage assignments. In addition, Greensfelder is proud to be an active member of the Cortex Innovation Community, an innovation hub and technology district in St. Louis. A regular rotation of attorneys, including those from our Employment & Labor group, work from our office in the Cortex 4220 building. Our goal is to support entrepreneurs and the wider innovation community by being a resource and a partner. For updates on recent developments in employment and labor law, read our Simply HR Blog. Interview with Katie Fechte, "Educate Managers About Third-Party Harassment"
Interview with Katie Fechte, "Back to Basics: A newbie's crash course on the FLSA"
Interview with Camille Toney, "What Managers Need to Know About the FMLA"
Interview with Kevin McLaughlin, "Dotted Line: How to conduct business in a world of discrimination and harassment claims"
Interview with Katie Fechte, "Lessons From Estée Lauder's Parental Leave Settlement With EEOC"
Interview with Katie Fechte, "SurveyMonkey's latest weapon in the war for talent: Benefits for gig workers"
Interview with Katie Fechte, "What’s Next for Restaurant Tip-Pooling Laws?" Interview with Chris Bailey, "Supreme Court Hears Oral Argument in Service Advisors FLSA Case"
Interview with Amy Blaisdell, "Proactive approach can get employees back to work faster"
Interview with Chris Bailey, "Inclined to dance on the table, lampshade on head? Read this first"
"DOL Quashes Confusing 80/20 Rule for Tipped Employees. What Now?" "DOL Opinion Letter Eliminates 80/20 Rule for Tipped Employees"
"Equal paid parental leave: The emerging trend that is not emerging quickly enough"
"How to Stay Within the Law When Using Biometric Information"
"Following DOL cover-up, the tip sharing rule’s future looks bleak"
"Revised labor standard exposes employers to new obligations"
"Integrity Staffing Solutions v. Busk: When is leaving work 'work'?" "NLRB Temporarily in Limbo? - Federal Court Ruling Calls into Question Board's Current Authority"
The NEW Union Election Process: How it will place employers at a distinct disadvantage in union representation campaigns.